This Brady Sullivan photo shows the interior of one loft in the Coventry, R.I. building where current and former tenants are suing, alleging the developer didn't protect them from the health effects of severe mold. New Hampshire-based developer Brady Sullivan is facing new lawsuits over severe mold in a Rhode Island apartment building. 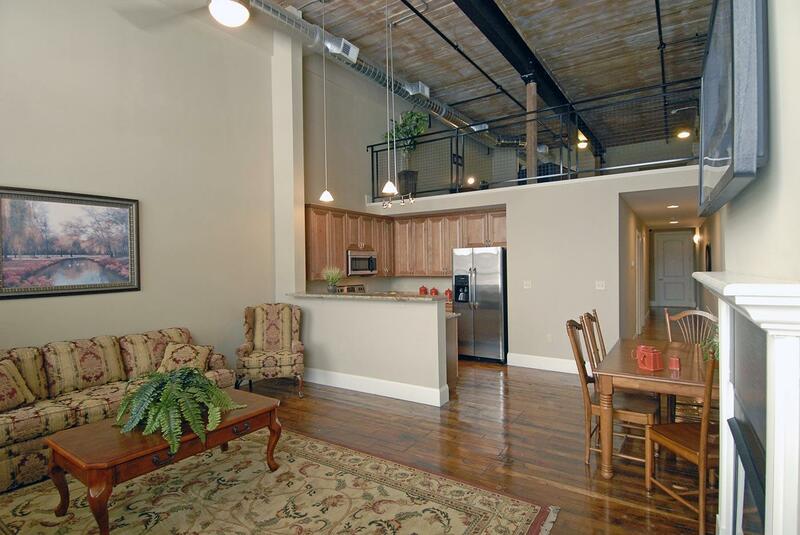 The complaints are from current and former tenants of the Harris Mill Lofts in Coventry. They allege Brady Sullivan ignored their complaints as mold spread, causing serious chronic health problems. Brady Sullivan denies the allegations. In a statement, spokeswoman Patti Doyle says the company is currently assessing safety issues at five units in Harris Mill. “Brady Sullivan recently commissioned an independent environmental testing company to evaluate units for unsafe mold levels and the testing has generated results well within acceptable levels for living areas,” she says. Plaintiffs and their lawyers disagree. Their first suit, filed late last year, comes from a former tenant of Harris Mill who says rampant mold around his apartment gave him an incurable lung disease that keeps him from working. He's seeking $60 million in damages. His attorneys have now filed two more suits, seeking a combined $25 million more in damages. Those complaints are from a couple with a baby born just after they moved out of Harris Mill in 2016, and from two current tenants. They all say mold in the building gave them serious respiratory issues. Lawyers for the plaintiffs said Wednesday they have approximately 60 other potential cases against Brady Sullivan waiting in the wings. Those include tenants suing in federal court to break their leases with the company, allegedly to escape environmental hazards at another of its buildings, in Johnston, Rhode Island. The Coventry suits, in addition to allegations of negligence around mold, also reference lead paint issues. Brady Sullivan has been cited for those before. Last year, the Environmental Protection Agency fined the company $90,000 for failing to disclose lead paint and exposing residents to lead dust in a Manchester building. Brady Sullivan later settled with tenants there. A Rhode Island man is suing one of New Hampshire’s biggest property developers for $60 million, alleging unchecked mold in his former Brady Sullivan apartment gave him an incurable lung disease. A group of Manchester residents exposed to elevated levels of lead dust has reached a settlement with property developer Brady Sullivan. Several dozen residents of the Mill West apartment complex in Manchester sued Brady Sullivan, contending that the company’s construction project in 2015 in lower levels of the mill building kicked up dangerous levels of lead-dust into luxury apartments on higher floors. They also say Brady Sullivan, after making complaints about the lead exposure, would not let them out of their leases.